My friend Barb Greenberg has written two wonderful books that you will want to read. 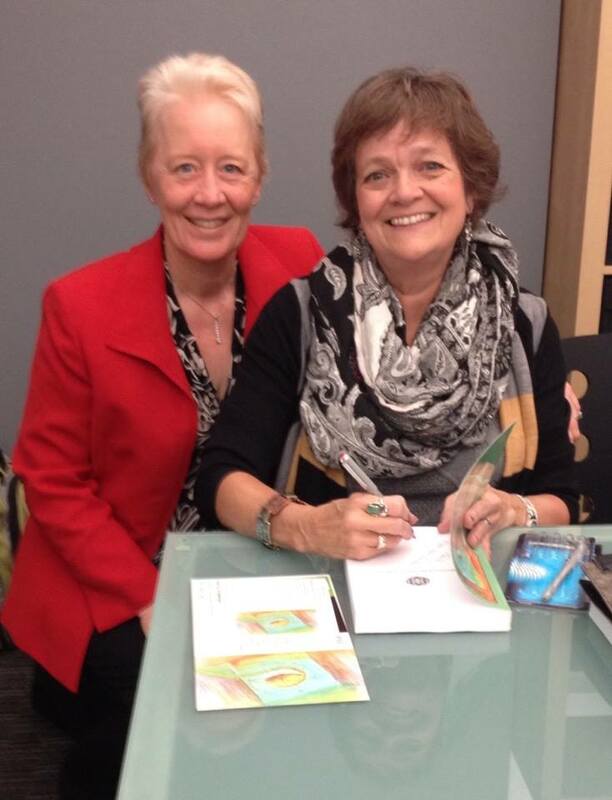 Here is a recent interview that I did with Barb about her books and about being an author. Barb, can you describe your book so that people get a good idea about what it is about? 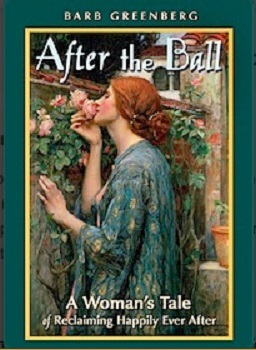 What happens next in After the Ball is a story that resonates in the hearts of women, for whether you find yourself with a prince, without hope, or without direction, it reveals the universal truth about the power of women to transform their lives. What is the inspiration behind the book or what compelled you to write it? When I divorced after thirty-three years of marriage, I became very angry about the concept of ‘happily ever after,’ and I wondered what really happened to Cinderella and Snow White…later!!! How long did it take you to write it? Did you hit obstacles along the way? Our main audience is women in transition, especially women dealing with divorce. What is interesting is that middle school and high school girls love this book! I’m the founder and president of Rediscovering U (U as in University). 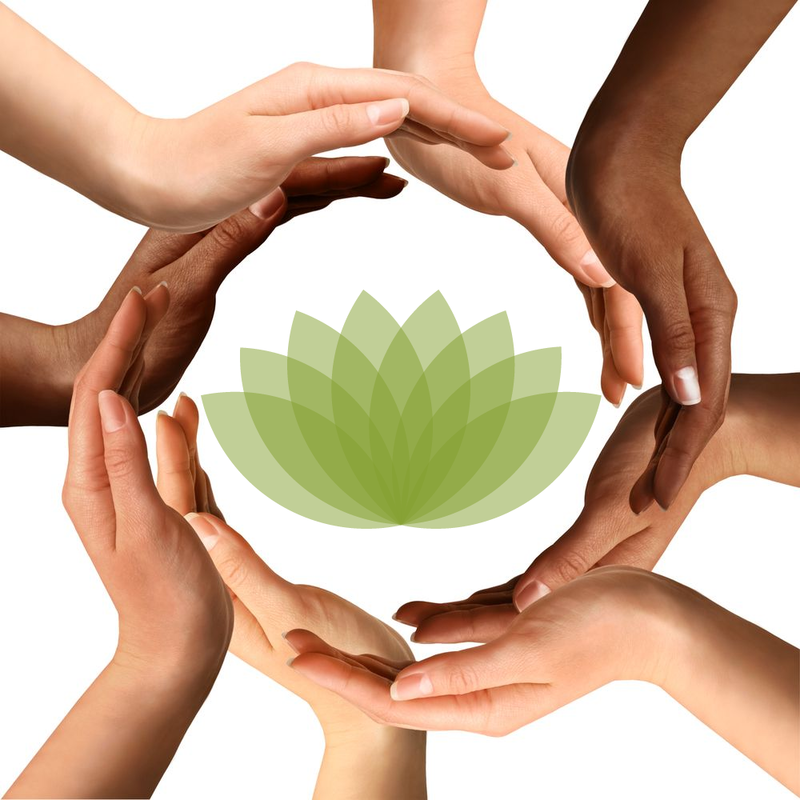 We offer eduction, resources and support for women approaching, experiencing or moving forward from divorce. I love horses and breakfast at the Good Day Cafe!! Where can people purchase your book? Barb, can you tell my readers about this book so that they can get a good idea about what it is about. 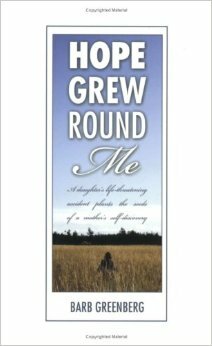 Hope Grew Round Me is the memoir of how a daughter’s life-threatening accident planted the seeds for a mother’s self-discover, and a heartwarming journey from crisis to transformation. It took a few years. I put the manuscript away many times, as I was going through a divorce, moved twice, and my older daughter got married. I feel that books know when they are meant to be “born” and come into the world. That is so true, from my own experience, Barb!! People looking for hope, who want to be reminded of their strength, and the possibilities of new beginnings. The feedback from both men and women has been overwhelming. You can find Hope Grew Round me on Barb’s website as well. 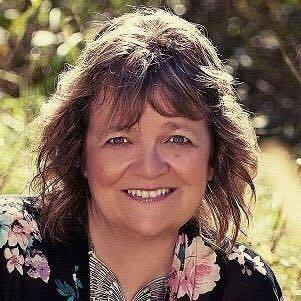 Thank you for taking the time to share a bit about yourself and your books barb. I know my readers will love them both. Lynette, can you tell my readers what your book is about? The subtitle to my book is “Gain the skills to overcome shyness and low self-esteem.” In the book, I cover such issues as the difference between extroversion, introversion and shyness, the physiological differences, an operational definition of self-esteem and how to attain high self-esteem, and a number of chapters on such topics as how to hold a conversation (“What do I say when…”), how to get rid of self-criticism, learn to use feedback and instead of criticism, and a blueprint for stress-free risk-taking. 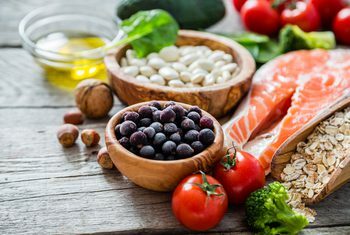 I also talk about typologies – clusters of individual differences – so readers can get a broader view of different types of people, how they function and why they function that way. So often shy people feel threatened by a)others, without realizing that a)other people are necessarily being threatening, and b) shy people can threaten and intimidate others without realizing it. On all of these topics, I pride myself on avoiding the obvious, instead delving into the actual steps and conversations important to increasing confidence. My book is the result of my personal journey as a shy introvert, during which I not only suffered from being socially “invisible” but also noted that the greatest recognition and success don’t necessarily go to the most talented or to the smartest, but to those who are able to make themselves “visible” – and valuable – to others. The greatest trigger was my divorce , during which I realized I had settled for a toxic relationship on the grounds that I wasn’t capable of attracting anything better. In fact, I realized that quiet people are often the brunt of bullying. In 1983, I developed a program for myself to become socially visible and successful and then started a class on “The Psychology of Shyness and Self-esteem” at City College of San Francisco. I was one to two steps ahead of the students as we went through that first class! 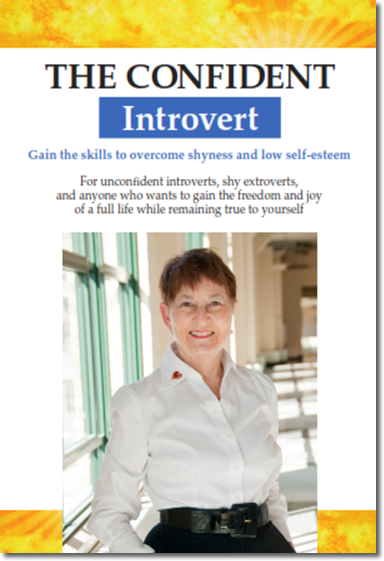 The Confident Introvert, is essentially the written version of that class. Of course, having written it, I have a ton of new ideas which will have to wait for volume 2, or perhaps another title. I worked on it over 12 years. Obstacles included a cross-country move, caretaking of two disabled adults and a health crisis of my own. The final obstacle was convincing myself that what I knew was valuable to a lot of other people. 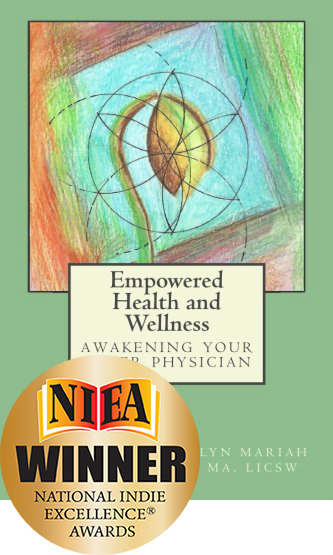 I’m now astonished and gratified to find how many people, of all ages, descriptions, and career types, are helped by my book. I am finding with more an more authors, that it takes them years to write. My book took me nine and 5-10 years is not uncommon. I’m still learning who is my audience! I wrote it for college students, but I’m getting rave reviews from people such as a friend, a retired Air Force colonel in Special Services who has read it three times, and sold or given copies to everyone he meets, including his therapist at the VA and a friend who is a retired Supreme Court Justice. 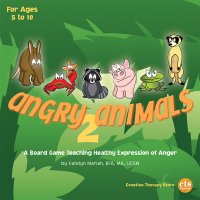 The therapist at the VA has ordered copies for members of a support group she conducts! At this time, I am doing training based on this book for lawyers, who are often quietly brilliant but unskilled at making the social connections that will move their careers and their businesses forward. Negotiations are under way with several law schools to provide training for their soon-to-graduate students. Extroverts tell me that they feel very enlightened about people with whom they deal. These extroverts have included an expert in job transitions and the leader of a support group for people with cancer. Whew! I’ve already said a lot, and the preface and introduction to my book tell more. I was a ballet dancer for 20 years, doing leading roles in such ballets as Swan Lake and Sleeping Beauty. That’s how I know that many performers are shy and introverted: we do well in a structured situation where we are in charge and cannot be interrupted. It is the spontaneity of daily social interaction that is difficult for us. I went to college at age 27 and got a B.A. (Stanford) and M.A. (University of California at Riverside) in psychology, then taught at City College of San Francisco for 27 years. I was a very popular teacher; my classes filled and there were waiting lists. I even created two new classes (very new at that time): The Psychology of Stress and finally The Psychology of Shyness & Self-Esteem. What I didn’t recognize was that teaching was just another case of performing, and that I was still ill-at-ease when meeting people outside those structured situations. It all came to a head with my divorce, when I realized to my horror that I was afraid to leave a life-suffocating relationship because I was convinced I could never get another one. I also came to realize how lack of confidence can lead to the selection of the wrong partner. In my case, I chose an outgoing, strong, protective male who was only protective so long as I was weak. When I spread my wings a little, he was threatened and became an attacker (psychologically). So one of my goals is to help people gain the social confidence to be alone and to seek and draw to them only those people who are loving and supportive. I have that now, so I must have learned quite a lot over the years. Thank you Lynette for sharing about your book and your process in writing it. I know it will be helpful to a lot of people! !